A superb selection of perfectly arranged poppies and faux foliage all carefully arranged by our professional team. 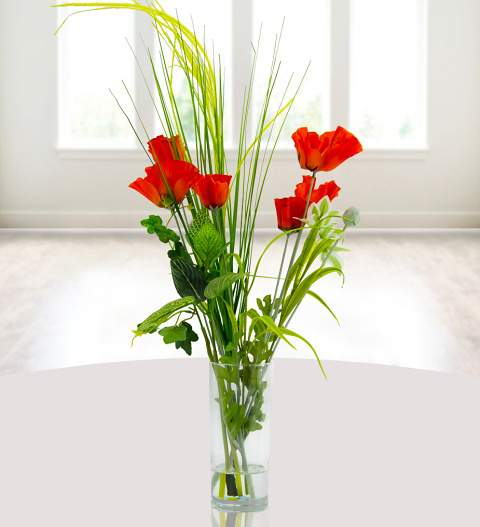 These beautiful red silk flowers will give your home or office a touch of nature without any pollen and minimal care. Send these lovely blooms to any loved one for any occasion or use them to enhance your own home.